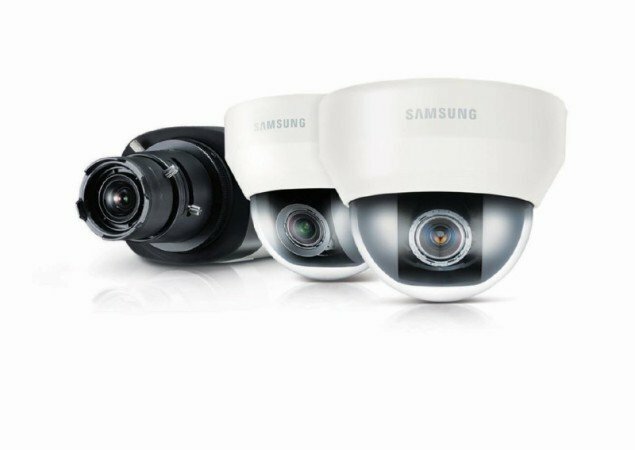 Here is a profile of Hanwha Techwin, formerly known as Samsung Techwin, including its history, latest Hanwha Techwin CCTV products and verticals in which the company is most active. Founded in 1952, Hanwha Group is a leading South Korean conglomerate and a Fortune Global 500 company. The group has 52 domestic affiliates and 146 global networks in three major sectors: manufacturing and construction; finance; and services and leisure. Hanwha’s manufacturing and construction businesses encompass a broad range of industry sectors – from basic chemicals and advanced materials, to property development and total solar energy solutions. The finance network, covering banking, insurance, asset management and securities, is said to be the second largest non-bank finance group in South Korea. The company’s services and leisure sector offers premium lifestyle services with retail and resort businesses. In December 2014, it was announced that Hanwha Group would acquire a controlling stake in Samsung Techwin, the physical security arm of Samsung Electronics. In Korea, the acquisition saw Samsung Techwin change its name to Hanwha Techwin. In Europe and North America, the Samsung name was retained for a short time. However, in April 2016 Samsung Techwin America officially became Hanwha Techwin America, while Samsung Techwin Europe changed its name to Hanwha Techwin Europe. With around 4,400 employees, the company also has offices in Japan, China, UAE and Singapore. Samsung’s history stretches back to the late 1970s, with the establishment of Samsung Precision. In 1980, it finished its first contract for aircraft engine maintenance, before moving into automation and the semi-conductor parts business. By the late 1980s, it had developed its own security camera and begun exporting to the USA. In 1994, the company says it invented the world’s first x4 zoom camera. Growth in its aeronautics business, meanwhile, saw the company join the ranks of the world’s Top 30 companies in this sector. 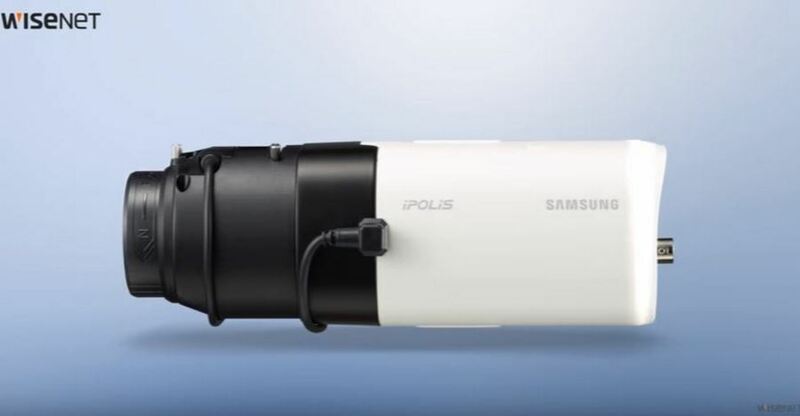 At the turn of the millennium, Samsung began production of camera modules for mobile phones. In recent years, it claims to have launched the first all-in-one chip with intelligent algorithm for network cameras, and in 2013, it introduced the 2 megapixel full high-definition WiseNetIII series. Robots and control – this involves the development of intelligent robot solutions that implement robot core technology, application technology and a high-performance vision system. Security – in addition to CCTV, the company’s imaging technology is now applied to access control and intruder detection. 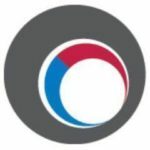 Energy – as well as providing turbo compressors and power generation systems, the company is developing green energy products, such as renewable fuel cell-related energy equipment. Industry – the company’s chip mounters are used worldwide and its electrical-parts assembly solution features in-line systems, such as screen printers and inspection devices. Defence – the company develops aviation and terrestrial weapons systems for the Korean military, as well as exporting to foreign markets. passenger rail – the firm’s security solutions are used to address ‘blind spots’ on the rail network, helping rail operators in their quest to deliver safe and clean stations and trains, and efficient train journeys. 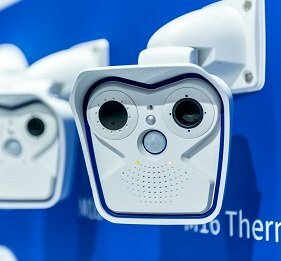 Hanwha Techwin says it is one of the first security manufacturers to give end-users the option to run software solutions, such as video analytics, within the camera itself. Its Open Platform WiseNetIII DSP chipset – a key component of the firm’s latest generation of high-definition cameras – allows customers to choose a combination of software applications, as well as video management software, to suit their requirements. The company introduced an HD+ version to its WiseNet III range in May 2016. WiseNet HD+ comprises both cameras and DVRs and delivers 1080p full HD images over coax cable. Hanwha Techwin Europe now offers its WiseNetIII open platform camera range with applications already incorporated. The pre-loaded apps concept was a finalist in the video surveillance software category in the Benchmark Innovation Awards 2016. In partnership with Veracity, the company recently announced a low-power, high-capacity storage solution. Called Trinity, it is said to take advantage of the WiseNetIII cameras’ processing power to simultaneously run multiple specialist video analytics applications, as well as Veracity’s ColdStore ‘direct-to-storage’ recording solution. The system is said to be capable of supporting audio and metadata, as well as video, while offering features such as resilience to network interruptions. Exhibiting at IFSEC 2016, the company showcased its 4K Ultra High Definition (UHD) cameras, which are said to be capable of providing video quality four times the sharpness of the full HD standard of 1080 pixels. According to the company, video file size is reduced by almost half when compared with H.265 compression and Wisestream technology. The company also recently launched its analogue full HD DVR Series SRD-1694/1685/894/494, which is reported to be capable of transmitting 2 megapixel videos through up to 500m of coaxial cable without time delay. Stored video data is encrypted to provide strong protection for personal information, says the company. Hanwha Techwin CCTV cameras and surveillance A profile of Hanwha Techwin CCTV products, history and verticals in which the company is most active.